Hi Fellow Beemers, I have a 2006 Jap import 525i. It's a great vehicle and I am very happy with it. The only issue I have is that the HDD Nav unit in the boot. Service providers would prefer me to change the head unit and say there is no upgrade to the HDD unit for New Zealand. My first question is to ask if anyone has managed to convert the Nav maps & speech to English? If so, what's the process? My feeling is that as I already have a DVD with maps and language on it, why don't I simply remove the HDD unit and copy the Map and voice data on top of the Japanese maps and data. Another issue is that when I first boot up the Navigation software, it states that there is no ETC card present. I am presuming that the ETC card fills the slot that opens on the HDD unit, labelled CARD. 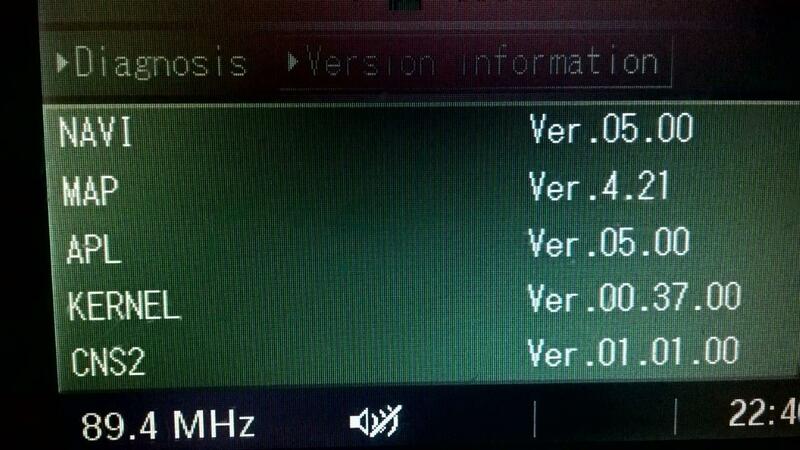 I've attached a photo of the unit and also of the version data screen. Any feedback as to the degrees of craziness my suggestion registers at would be greatly appreciated. I think the CCC/iDrive units installed in Japanese E60s actually came with the navigation maps loaded onto a hard drive rather the DVDs sold elsewhere in the world. I know the units came with a MiniDisc slot as opposed to the DVD reader at the time the E60s were introduced in Japan. First, to do any work on the CCC (coding, programming, map updates, etc.) you'll need an ICOM A2+B kit (~300$ USD for the OEM clones without software from China, check eBay). Do not attempt this on a K+DCAN cable, as it will take hours and quite possibly brick the entire set of CCC modules. You will need software such as INPA & WinKFP (known as "BMW Standard Tools") and/or ISTA/P (the successor to INPA and WinKFP; highly preferred) along with an ICOM A2+B which includes the MOST connector (the "B" in ICOM) and quite a bit of patience to read/study/learn this stuff. There are a few forums out there dedicated to BMW coding & programming; a few Google searches will lead you to many threads with people wanting to do what you are trying to accomplish. ETC stands for "Electronic Toll Collector", the system used in Japan to collect -- you guessed it -- toll fees on various highways automatically. 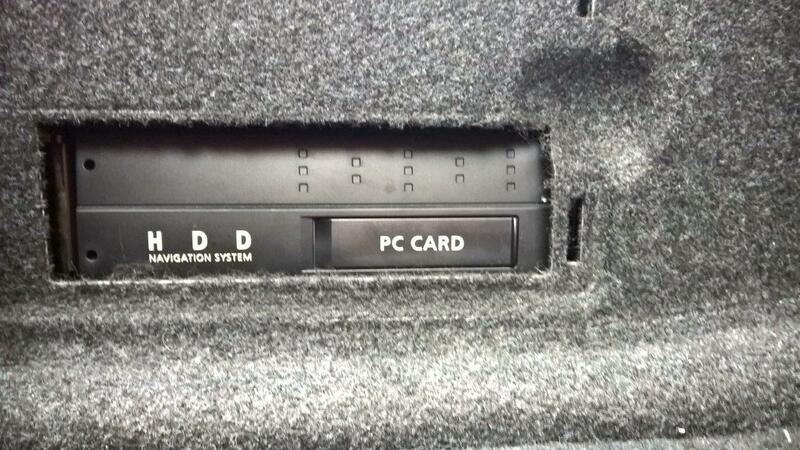 Almost any car manufactured or sold in Japan comes standard with this card slot. You can safely ignore the warning as I'm guessing you won't be using it any time soon. WOW - Thank you very much for this excellent advice. The ETC card had be baffled. I used to work in IT and I guess I could set myself up to fix my own satnav and then offer it as a service to others. Most providers here just want to change the entire unit, which is such a shame. I had a Subaru years ago with a Mini Disk and guess it is something that only ever caught on in Japan. My current state of play is that I was going to remove the hard drive and clone it onto a new one. I was then going to replace the language and map files, with local ones, and then see if it wants to play ball and come to the party. Clearly I do need to do some more research, though I will first attempt my clone idea. Thanks again, your information was perfectly timed and you have revealed information that I failed to uncover. Your drive cloning+modifying & map file replacing idea may work as long as the filesystem is not too difficult to work with (I'll be surprised if they use FAT32 or NTFS...). I don't know if one can simply connect the drive to a regular computer and have it appear in the OS without a bit of work, but perhaps it's been attempted before. I'm betting the interface is IDE and/or the drive uses ATA commands for communication, so get ready to bust out an older desktop motherboard. I've read someone was able to clone their CIC hard drive onto a SSD using Clonezilla. Furthermore, BMW's ISTA/P software has an application called "HDD Update" that allows maps to be loaded onto CIC units. I'm not sure if it'll work for your very unique (and rare!) navigation system. Please keep us posted with your findings! [QUOTE=Yellow Dog;1568417]Hi Fellow Beemers, I have a 2006 Jap import 525i. It's a great vehicle and I am very happy with it. The only issue I have is that the HDD Nav unit in the boot. Service providers would prefer me to change the head unit and say there is no upgrade to the HDD unit for New Zealand. Must Have Mods for the E60?